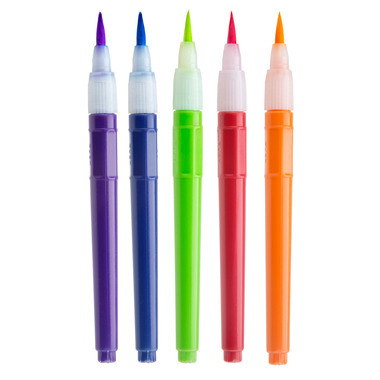 Add these to your kids’ art supplies for a unique way to paint! Simply squeeze for the paint to start flowing to the attached brush, then paint away! 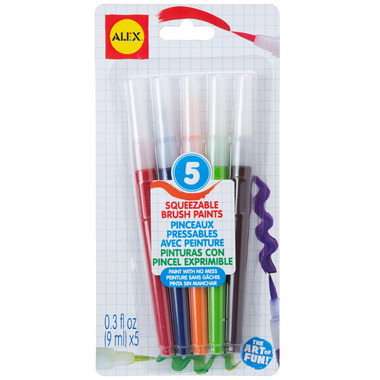 There is less mess with Alex’s squeezable brush paints. These work okay. It's a bit hard to control how much paint comes out, and there are only 5 colours. Fun, doesn't hold that much paint but can refill. I will refill with water and keep for my son to use with water colours, will be very useful not to have a water cup.